For many years, I’d heard writers talk about their “aha!” moments. When an idea for a book just popped into their head and they cried out, “aha!” But I’d never experienced that for myself. My ideas had always come more slowly. They metamorphosed over time. I guess you could say, I had more “hmmm, that’s kind of interesting” moments than “aha!” ones. 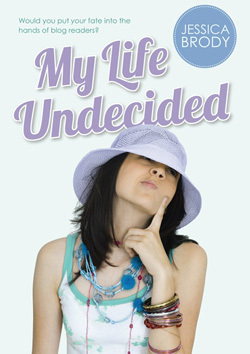 Until one night two years ago, when I came up with the idea for my latest young adult novel, My Life Undecided. There I was, sitting on the couch in my living room. What was I doing? I was watching TV, of course, when I probably should have been writing. But TV is research right? Of course it is. So there I was … researching. I’m embarrassed to admit that the show I was watching was some cheesy reality show, which shall remain nameless in a vain attempt to preserve my “serious writer person” reputation. But let it suffice to say that this specific reality show featured a set of beautifully groomed young twenty-somethings gallivanting around a highly-populated city, griping about their catastrophic life problems. My husband and I considered my somewhat intriguing idea and very soon after ruled it out because from a production standpoint it probably wouldn’t be plausible as these kinds of shows are always shot months ahead of time. But I wasn’t discouraged. Quite the contrary. After all, I wasn’t a reality show producer. I was an author. An author who had just been struck with an idea. I went up to my office where, over the course of the next hour, I proceeded to roughly outline an idea for my next book: A fifteen-year-old girl, notorious for making terrible decisions, opts out of her life completely by launching an anonymous blog and posting all of her decisions in the form of an online poll, vowing to adhere to whatever the results might be. And the first synopsis for My Life Undecided was born. I knew right away that it was meant to be a young adult book as opposed to an adult novel, which I’ve also written. This was definitely a coming-of-age story. And not only that, it was a coming-of-age story in the digital age. Ever since I’d started writing young adult fiction, I’d been fascinated by the fact that today’s teens are growing up online. They’re having life changing experiences online. And this modern day setting really inspired me in writing this novel—a girl trying to decide who she is and find her identity … through an anonymous blog. As much personal information as we share online these days, in some ways, the Internet only disguises us more. I wanted to explore how that affects the life of a teenaged girl trying to make sense of who she is. By asking strangers to make her decisions for her, she inevitably discovers the person she wants to be. And to her surprise, it’s a far cry from the person she thought she wanted to be. 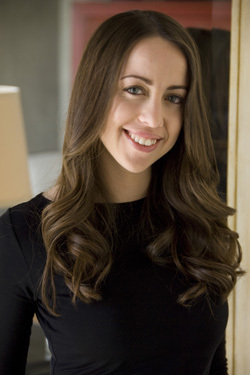 Jessica Brody ’01 is the bestselling author of The Fidelity Files, Love Under Cover, The Karma Club, and the recently released My Life Undecided. 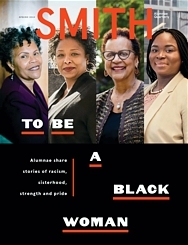 Her books have been translated and published in over 12 foreign countries and two of her books were recently optioned for film.